Despite political tensions, struggling economies and fierce competition, travel sentiment towards destinations in Europe remains positive for 2015. The first results of the Long-Haul Travel Sentiment Survey, a new joint initiative of the European Travel Commission (ETC), the European Tourism Association (ETOA) and the Eurail Group, show strong potential for growth in key long-haul markets. 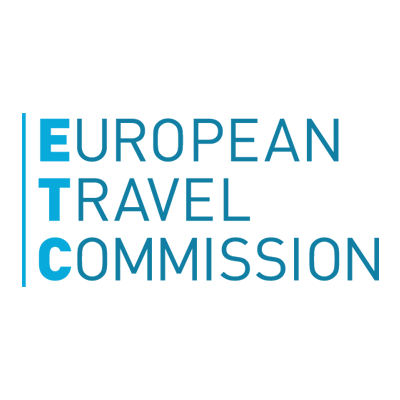 The survey is designed to provide the European tourism sector with early indications on travel demand developments from key non-European markets. 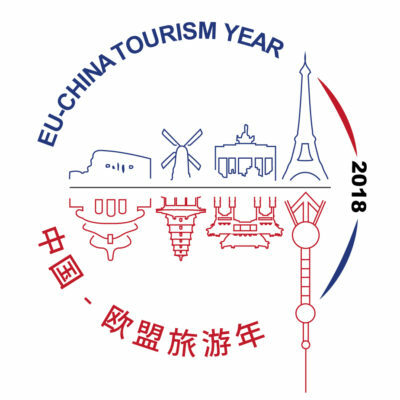 To best support the tourism sector facing uncertainties caused by threats of terrorism and Eurozone economic instability, the European Travel Commission (ETC), the European Tourism Association (ETOA) and the Eurail Group have jointly launched a new research initiative that monitors travel sentiment in key extra-European markets: Brazil, China, Japan, the Russian Federation and the USA. Based on 1,000 interviews in each market , every four months the Long-Haul Travel Sentiment Survey monitors people’s intention to travel and captures key characteristics of their trip, travel motivations and barriers included. Key results are regularly published to provide the tourism sector with early indications on travel demand developments from the markets with the best prospects for growth. Long-haul travel sentiment is strongest in emerging markets: Two in three respondents from Brazil and China are positive that they will take at least one trip outside Latin America and Eastern Asia, respectively, in 2015. Boosted by a strong economy and improved consumer spending, travel sentiment is strong in the US: In this market, one in two respondents plans to travel outside North America this year. Hard economic times continue to affect Japan: The picture looks gloomier for the Japanese market, where only three respondents out of ten plan to travel outside Eastern Asia. Europe has a strong positioning in respondents’ minds: Of all the Brazilians, Chinese, Japanese and Americans, who plan to travel to a long-haul destination in 2015, four in five plan to visit a destination in Europe. France, Germany and Italy are confirmed as top of mind destinations across all markets. Portugal stands out as a must-see destination for Brazilians, while the United Kingdom is favoured by Americans. Europe remains high on Russians’ travel wish list despite economic turbulence: Respondents from the Russian Federation, surveyed on their intention to travel abroad , remain optimistic that they may afford travel later in the year, despite a deepening economic crisis and weakening currency. 60% of the respondents plan to travel internationally in 2015, of which four in five plan a trip to Europe. The survey also sheds light on travel sentiment over different tourism seasons. As would be expected from the typical seasonal pattern of Europe’s tourism demand, travel sentiment for the first four months of 2015 is lower than at other times of the year. 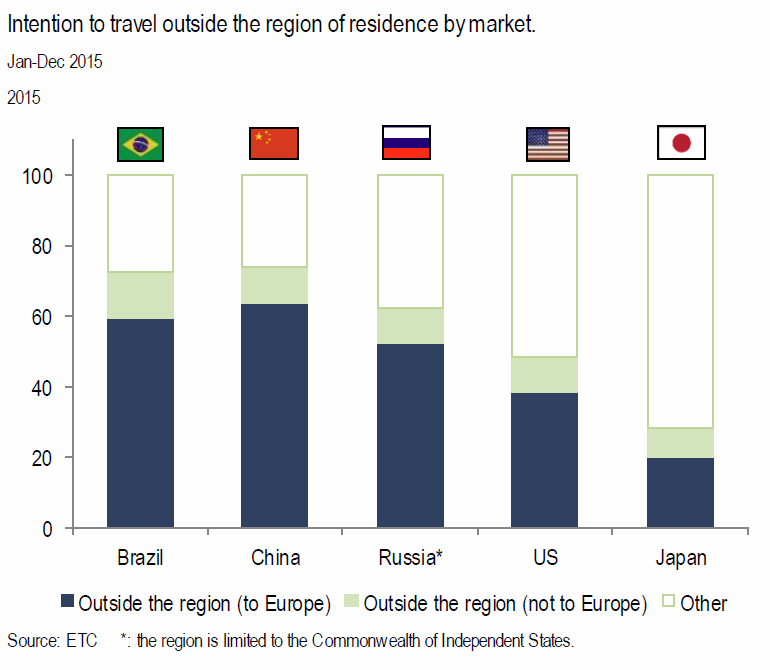 Respondents from emerging markets – Brazil and China – remain more eager to travel longer distances between January and April 2015 than respondents from the US and Japan. Most of these prospective travellers still have a European country as their main destination. 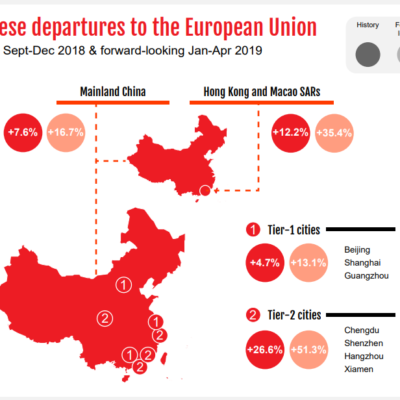 The majority of Brazilians, Chinese and American respondents who planned a trip to Europe between January and April 2015 will visit the region for the first time. From Japan, intention to travel to Europe is strongest among repeat visitors. In the Russian market travel sentiment in early 2015 is exceptionally low (one in four respondents plans a trip abroad), despite the long Russian Christmas holidays coinciding with this period. The results of the Long-Haul Travel Sentiment Survey clearly reflect Russian respondents’ low confidence in economic improvements in the near term, though as the survey data indicates, the aspiration to visit Europe later in the year is still there. In this market, it is also interesting to note that the majority of respondents who plan a visit to Europe have already visited the region before. 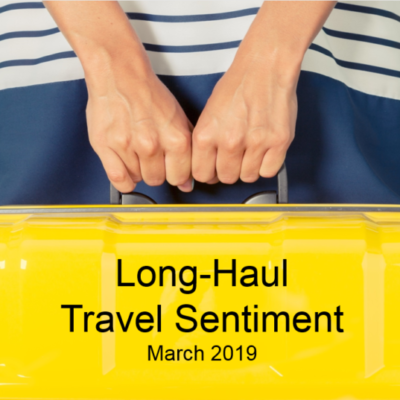 The next release on the Long-Haul Travel Sentiment Survey will be available in May 2015 and aims to capture travel sentiment for key markets for the period May-August 2015. 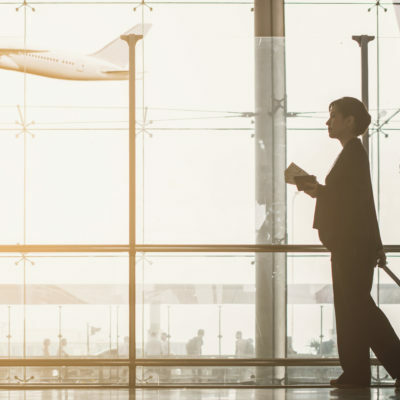 The Long-Haul Travel Sentiment Survey captures people’s intention to travel to medium and long haul destinations, their motivations and barriers to travel, as well as key characteristics of their trip. The survey is meant to gauge travellers’ attitudes and intentions, and is not meant to quantify prospect demand levels. A stratified sample is used to represent the travel population in each market. Full results are available to the members of partner organisations only, and key results will be regularly made available through the website of partner organisations.